With the Cubs Home Opener right around the corner (Thursday 4/5 1:20p vs. Nationals) I could not be more excited. 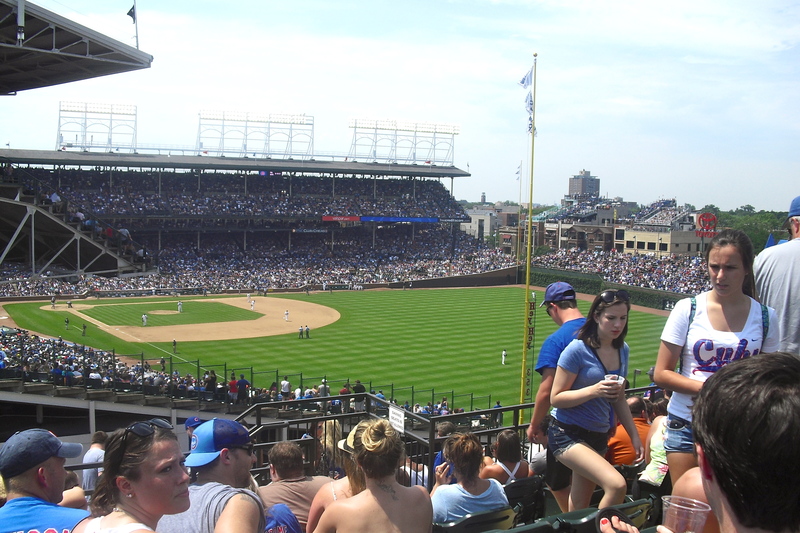 It’s clear from this post that going to Wrigley is an experience. Another experience? Rooftops rock. Unlimited food, unlimited beverage, exquisite interiors and stunning views of the game. Most rooftops have multiple floors and some even offer different cuisine on each floor. Truth. 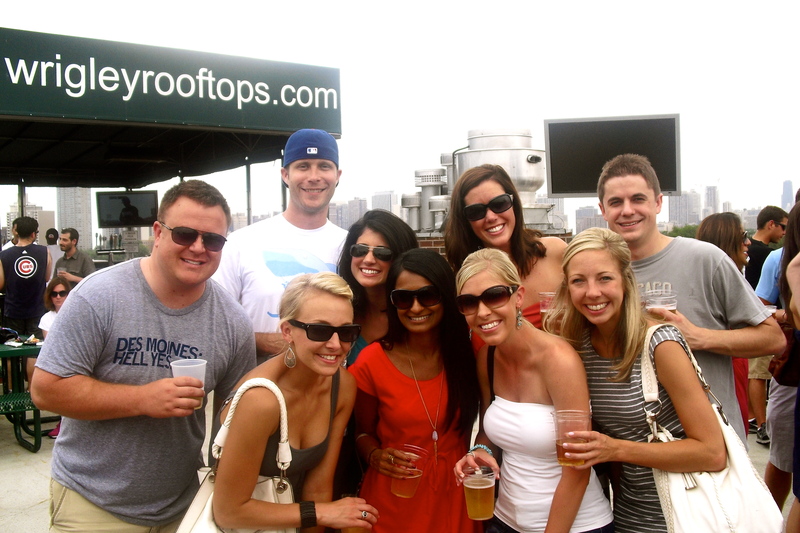 My favorite rooftop game to date was this past summer over our annual summer Chi weekend when some of my Drake girls and their boyfriends travel to Chicago. We enjoyed the food, more than our share of the beverages and the Cubs even brought home a W. Perfection in my book. Prices can range anywhere from the $50s to a couple hundred depending on game day, opponent and the Cubs current record. You can also get a group discount if you have that many friends … or more realistically are looking for a work-type outing. The Rooftops are also featured occasionally on group buying websites like Groupon! 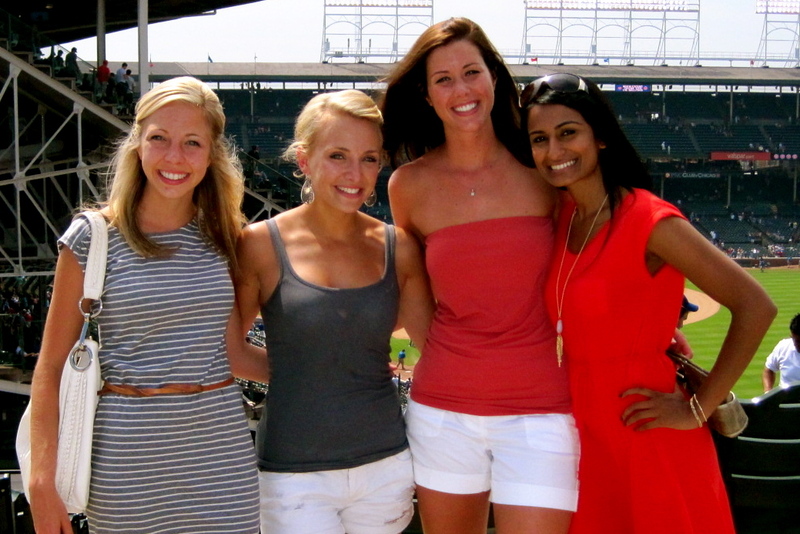 Posted in Friday Faves and tagged Chicago, Cubs, Rooftops, Wrigleyville Rooftops. Bookmark the permalink.